BitRaser for File – Standard is an advanced file eraser software that helps you to permanently erase files & folders from laptop, desktop or any other storage media without leaving any scope for recovery. Erases Files/Folders from Laptop, PC Desktop Computers etc. Remarkable software designed to delete data permanently from your hard drive or any other storage devices. This data erasure solution uses international algorithm standards including DOD-3 Pass, 7 Pass, NIST, and more to ensure total deletion of any file, application, document, as well as all their traces in the system. BitRaser for file application comes at a reasonable price, great solution if you want to keep all of your data safe and sound even when they are deleted. BitRaser for File has a simple purpose, namely to protect your privacy and preventing others. 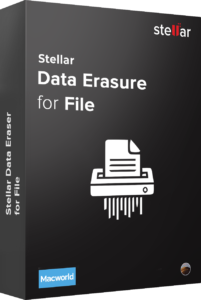 The File eraser tool allows you to erase data such as files, folders, internet activities, application/system traces and unused space from selected drives. You need to download, install and launch the software, and follow the procedure to successfully erase permanently with no chance of any recovery even using sophisticated data recovery tools. This file wipe utility has the option to generate certificate when the file is wiped after searching. The software generates a tamper-proof certificate after completion of the erasure process, which you can save in PDF file format to meet various statutory & regulatory compliance needs for information security & privacy – SOX, GLB, HIPAA, ISO27001, EU-GDPR, PCI-DSS. 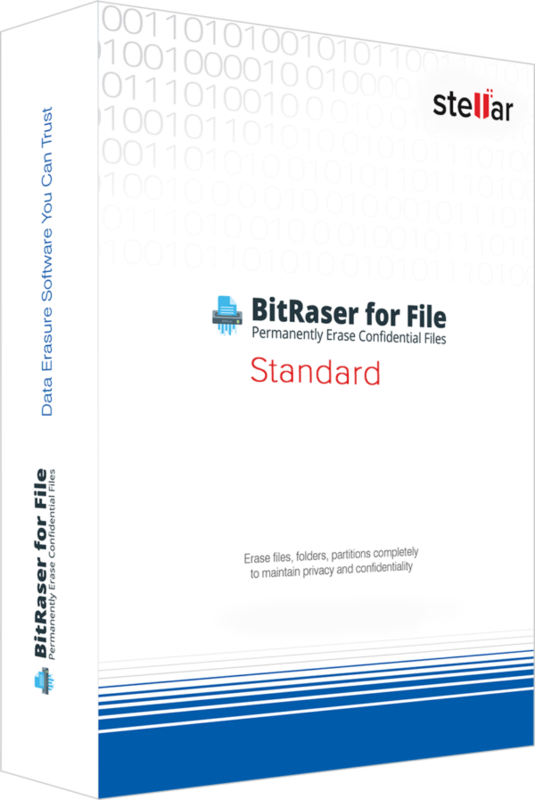 BitRaser for File supports 17 International erasure standards, which can be selected as per your requirement. Few of them are US dod (3/7 pass) wipe, Russian standard GOST-R, Gutmann (35 pass), NATO standard (7 pass), British HMG IS5. Each of these industry standards algorithms have 3 options of eraser verification (No verification, Random verification and Total verification). While wiping file from PC, BitRaser for File combines an array of applications and creates a group to make an erasing operation easier. These application groups can then be selected to remove all the traces of extraneous files. The standard algorithms securely erase files which helps in optimising system performance. (Supports FAT, exFAT, NTFS file systems). You can schedule the task for Once/Every Day/Every Week/Every Month as per your choice. Erasing of all confidential files can be processed in either Show Mode or Hidden Mode. The advance option to choose among various industry standard erasure algorithm like US dod wipe, British HMG, Peter Gutmann is also available. This disk wipe software is capable of erasing all files & folders from Windows 10/8/8.1/7/Vista/XP and Server 2012, 2008 & 2003 compatible machines and data storage drives such as PCs, laptops, USB flash drives, external storage devices, RAID drives and Servers. It is efficient enough to handle drives with large data storage capacity and can erase file from Server architectures.